Microsoft today revealed Project xCloud, a game streaming service that would bring the company’s games to multiple devices, including mobile. xCloud is, essentially, a gaming solution for those who don’t own an Xbox or a game-ready PC. The idea is that you can play the games on any device of your choosing, without having to pony up the money for a worthy machine. 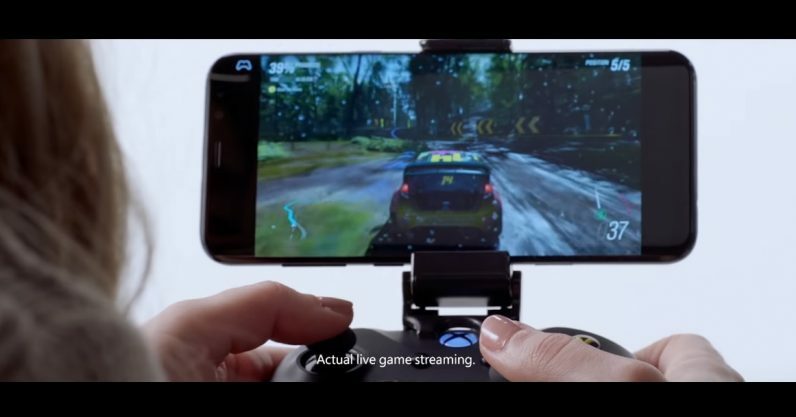 So, if you want to play Halo Infinite, Gears of War 5, or Sea of Thieves on your Android tablet, this is the device that would make that possible. The service is not dissimilar to Google’s Project Stream (seriously, there are other words than “project,” people; whip out a thesaurus), revealed last week, which would allow users to play newly-released, AAA titles on their Chrome browsers. xCloud presents the same drawbacks as Google’s Project though. Microsoft doesn’t exactly explain how it’s going to handle latency or fidelity, but does assure gamers it recognizes those issues and is working on them. Public trials for xCloud begin next year, at which point we’ll hear more about it.